Chester, August 18th 2017. 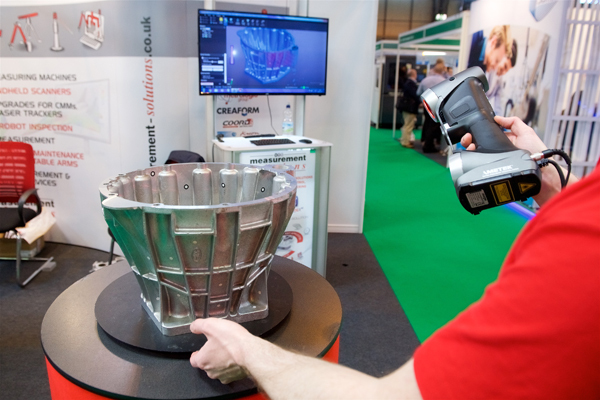 Interplas 2017 is co-located with the UK's leading additive manufacturing event, TCT Show. Together, both exhibitions will be shining a spotlight on measuring, inspection and testing technology in a joint Inspex feature. If you can't measure it, you can't make it. This is a universal truth for plastics processing, mould and tool-making as well as additive manufacturing and 3D printing. The return of Inspex to Interplas and TCT Show will serve to promote the importance of inspection and measurement technology in plastics processing and the new challenges an evolving industry faces as manufacturing technology evolves and pipes become bigger, films get thinner and industry standards get stricter. All providers of inspection, measurement and testing hardware, software and services will be given enhanced visibility at both shows to make sure the valuable innovations they provide are unmissable across the halls. Headline media partner, British Plastics and Rubber magazine, will offer in-depth perspectives on this exciting and often unsung hero of plastics processing. Visitors keen to expand their knowledge of the ways in which the latest and most sophisticated inspection, measurement and testing technology can benefit their business can attend the Inspex presentation track on the TCT Show Product Stage on Wednesday September 27th and on the brand new Interplas Introducing stage on Thursday September 28th, where experts from SolveTech, Impact Solutions, Micro Epsilon, Kistler Instruments, Q Labs and Smithers Rapra will be presenting their take on how best to tackle the inspection challenges of modern plastics processing, and how to future-proof. Inspex @ Interplas & TCT Show will feature on the main exhibition floor for the duration of these three-day events and visitors are encouraged to follow the branded floor markers to learn more about this fast-evolving technology from Inspex exhibitors.